Sensuous and intriguing. 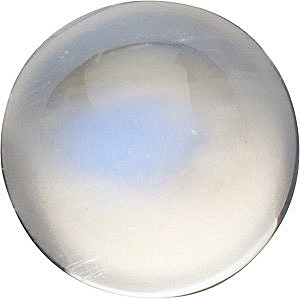 White Moonstone seems to glow with the light of the moon itself. Its milky translucence changes with every movement, offering an ever-shifting play of light and shadow within its mysterious depths. 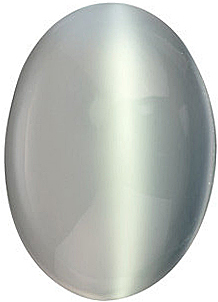 Rainbow Moonstone carries with it a watery collection of pastel colors. The incandescent shine holds within it all of the mystery of the moon itself. Both White Moonstone and Rainbow Moonstone are ideal for unique and stylish jewelry. 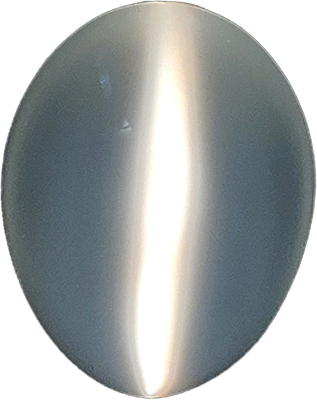 Our gorgeous Moonstones comes from the mines of Australia, Brazil, India, Madagascar, Mexico, Sri Lanka, Tanzania and the United States. With its rich luster and subdued color, the ancients claim the gem as formed by moonlight. Another legend promised a vision of the future to one who held a Moonstone in their mouth during the full moon. Today this shimmering gem, sacred to the Indian culture, is believed to arouse tender passion, making it an ideal gift for lovers. 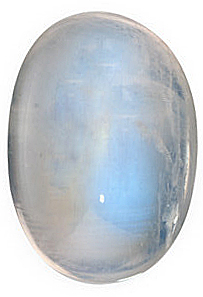 In fashion, the misty hue of Moonstone is the perfect accent to Victorian inspired styles. Its translucent color makes an interesting combination with pearls, and other opaque gems like Rose Quartz and Aquamarine.